The Trump team was unprepared for the transition after their successful campaign in 2016. The Presidency of the United States should not be an entry-level position. However, the failure of the US political establishment had produced just such a result. The Trump team was not prepared to staff a large government and the Washington establishment made it extremely difficult for them to do so. Allegations regarding slow down strikes in processing back ground checks and hold ups in Congress have been never ending since the inauguration. Since President Trumps arrival at the White House, there has been a significant effort to make war on the civil service. I can not tell to what extent this reflects Trump political appointees philosophy or the bankers and contractors smelling the blood in the water and seeing their opportunity to assume control of even more government operations, not to mention pick up government assets on the sly – or worse. There is no doubt that the rise of money missing from the federal government and numerous other corruptions reflect the rise of control of government systems and operations by private contractors and banks and the generous campaign contributions that result. 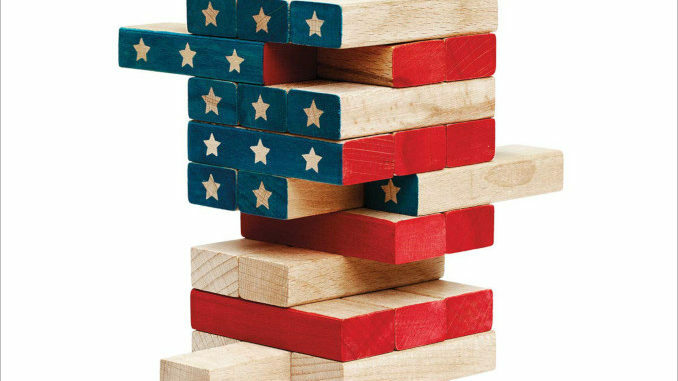 The Fifth Risk is an effort by Michael Lewis to describe critical aspects of our civil infrastructure using examples from the Departments of Commerce, Energy and Agriculture and the danger to our safety and economy of treating or destroying them in a cavalier fashion. His descriptions remind me of the behavior of the Neocons in the first Bush Administration. They were ignorant of the operations and drew pleasure from destroying them without regard to law or the interests of the country and the people impacted. They were childish thugs on a power drunk. It is hard to explain unless you experienced the madness in person. For those who have a hard time fathoming the idea of destroying a civil infrastructure so you can justify spending multiples more bringing in a private corporations to rebuild the function, generating vast “fees for your friends, I recommend you watch Charlie Ferguson’s documentary No End in Sight. The extraordinary corruption at the Department of Justice and the intelligence agencies is now being used as a reason why we should make war on the civil service. Wrong. The Mandarin class made successive Chinese empires great. There is a reason why. We have two choices. We can allow our government to be hijacked by private corporations and banks under the cover of policies like FASAB 56. Or we can build and maintain an excellent civil service – one that has the power to maintain governmental sovereignty in a world of control files and covert operations. I would vote for the latter. If you read The Fifth Risk you will understand why. Lewis has worked hard to make the case for having competent government employees who maintain our civil infrastructure. Bravo!